There are many, many options for putting a roof over and a bed under you during your California vacation. While there are hotels ranging from palatial to boutique and everything from woodsy cabins to oceanfront estates available in the vacation rental market, even that just scratches the surface of the available options. Mindful of your objectives and your budget, you’re bound to find something that pleases you. If you’re looking to save money on your lodging expenses, you may want to consider one of the more than 270 park units managed by the California Department of Parks and Recreation. This option includes everything from backpack camping on Angel Island to accommodations in a restored historic beachfront cottage community (Crystal Cove) that was originally developed as a South Seas movie set. As you might guess, the demand for this California lodging option often outpaces the supply, especially during the peak months (March through November), and reservation information can be found at Reserve America. Another money-saver especially popular with student-travelers is hostel stays, and there are some fabulous offerings in the state, including San Francisco’s Pacific Tradewinds (rated the number one hostel in all of North America for 2006 by hostelworld.com) and Hostel California near southern California’s Venice Beach. Families, especially those who want to visit several different areas, may want rent a recreation vehicle that simultaneously fills both their lodging and transportation needs. Another option popular with families is to rent a houseboat on which they can idle-away a few days enjoying one of the state’s lovely lakes. Actually, some of the more unique offerings in the California lodging market are associated in one way or another with water. There’s the island lighthouse bed and breakfast (see the Guide’s California Bed and Breakfasts article in the “Related Posts” section below), there are yachts docked at Long Beach’s Rainbow Harbor available for overnight stays, there are multi-day scuba/snorkel/kayak adventure cruises to the Channel Islands National Park (home to over 145 unique animal species found nowhere else on Earth!) and a there’s a culinary adventure cruise that begins in the San Francisco Bay and travels up the Napa River to Wine Country. 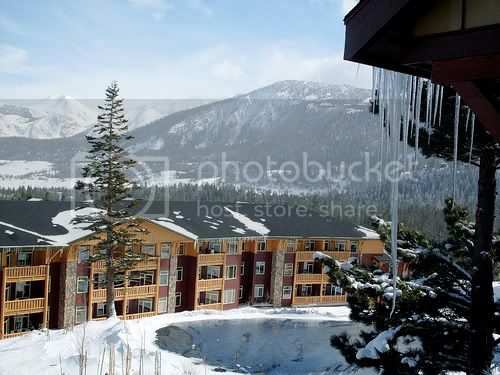 Photo of Mammoth Mountain Lodging by lachshand via flickr (Creative Commons).